Applying for a mortgage is stressful and daunting – especially if it’s your first time. There’s a diverse range lenders on the market, each with their own set of expectations and terms. How do you secure a successful application? Any lender is looking for a low-risk application. There are a number of things you can do to demonstrate that their money is in safe hands. Ensure that you have 3-6 months’ worth savings account statements to show the bank manager that you’re clued up when it comes to money. Keep your credit rating favourable (you can check this for free here: http://www.mycreditfile.com.au/home/free-credit-file.dot) by avoiding arrears or bankruptcy and minimise the current debt you have too. If you owe money, or you have multiple credit cards maxed out, it’s a smart idea to eliminate this where you can. Having a steady employment history for the past three years will nicely support your loan application. Don’t panic if you have recently changed employer – ask them for a letter that confirms your employment and probation status. Most banks will loan up to 95% of the purchase price, but do your utmost to keep this ratio lower. Ideally, you’ll put down a 20% deposit and avoid paying lenders mortgage insurance. If you have other debts lying around, consolidating them into your home loan may reduce your repayments and subsequently increase your borrowing power too. A guarantor arrangement might be a good option if you have no security. It might just reduce your overall loan-to-value ratio and also serve to increase your borrowing power. Choosing the right lender and the right loan is imperative to securing your loan and putting yourself in the best financial shape possible. Each lender and product has different credit policies so thorough research is vital. It sounds rudimentary, but make sure you complete absolutely everything on your application, so you present the full picture. Leaving even a landline number out could reduce your credit scoring. Ensure that you apply in good time (most lenders approve within five business days, some much quicker), but don’t be complacent and assume things will go smoothly. Obtaining pre-approval prior to committing funds might just save you a lot of money and heartache. It will also make you a highly attractive buyer because you have the funds ready to hand over. Have all your papers (such as identification and evidence of your income and savings) ready for inspection too. The bank calculates how much you can borrow using minimum living expense figures. If your living expenses are higher than they should be, it will raise eyebrows. Eliminate any unnecessary expenses to present a better cash flow position. By the same token, prepare a comprehensive budget that covers even the less obvious costs (such as stamp duty and legal fees). Don’t be left short on settlement day. Enlisting professional help might just be the smartest decision you make. 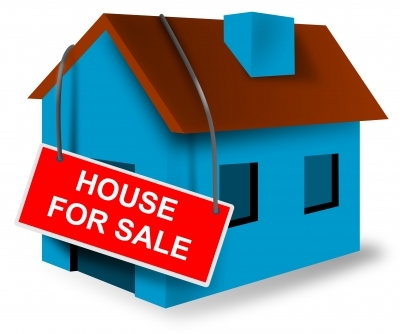 The complexities of buying a property can be overwhelming. So let me help make it stress-free for you. You don’t need to worry about it costing you a cent either – I’ll get paid by your lender.